If you follow my blog reguarly, you'll know I'm a huge fan of Bioré skincare, and so I wanted to share with you something new. 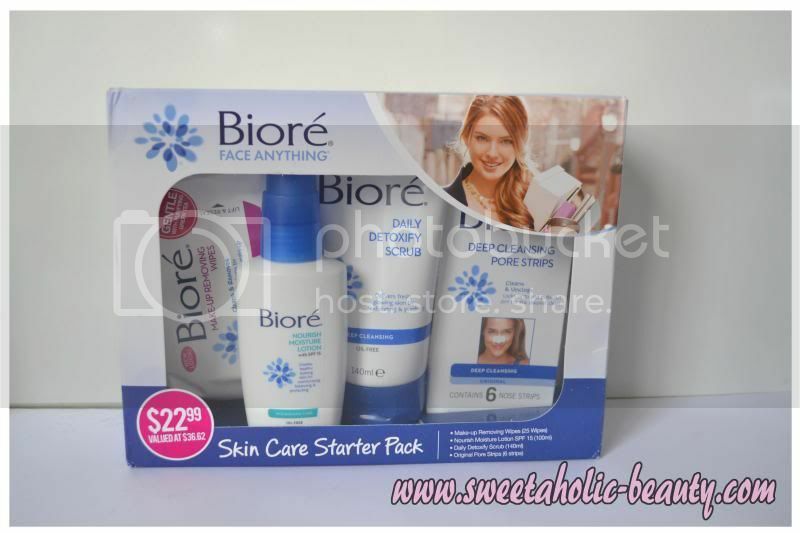 Introducing the new Bioré Face Anything Skin Care Starter Pack! This pack includes four of your basic products perfect for maintaining beautiful skin, whether your just starting out, or if you need to bring your skin back to basics and start your beauty regime fresh! The back of the box explains all the necessary products in more detail. If you don't know how to use a product, or you are wondering why this product was included, then you'll find all of the answers on the back of the box, along with helpful tips on keeping your skin clean and fresh! This is such a handy kit, and would be perfect as a gift for someone, whether they are having skin problems, or just to treat them to some new skin care. It covers all the basics, wipes to remove excess make-up, a scrub that also cleanses to really clean the skin, a moisturiser to rehydrate, and some pore strips to get rid of those nasty blackheads! 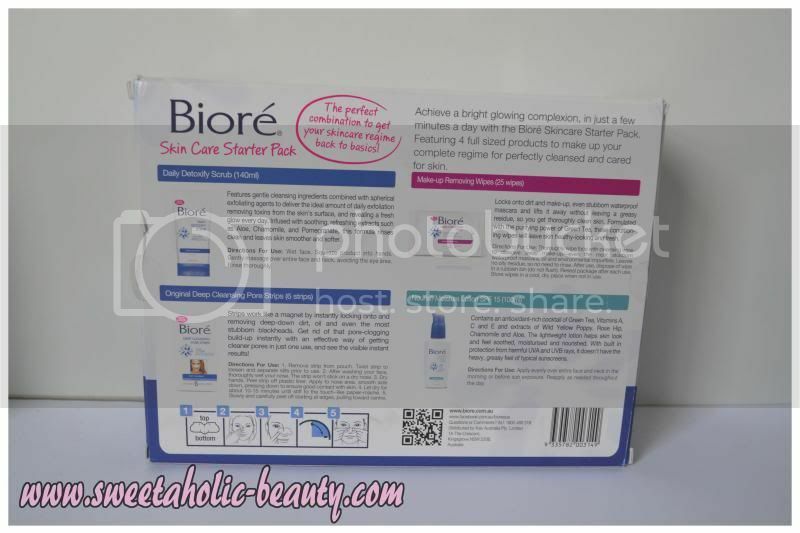 At only $22.99, you're saving yourself over $10 if you were buying the products separately, so even if you need to stock up on some old favourites, or really want to give Bioré a go for the first time, I would definitely recommend this pack to get you started! Have you tried Bioré before? If so, what did you think? Do you like it when companies release starter packs, or value packs of their products? I'm the same, I feel like I get better results when I'm using all of the same brand haha! Oh wow what a great price! Looks like good stuff! I wonder if it works well for sensitive skin. My face breaks out with almost every face cleanser I've ever used. Now I use products from Lush because they're organic. I love love love kits like these! I love Biore especially the exfoliating scrub! I use it quite often and noticed a major improvement in my skin. In the pack, I've tried the moisturiser (which smelt good but didn't really do anything for my skin) and the daily detoxify scrub which I think is really good. I know you are ;) we're alike like that! 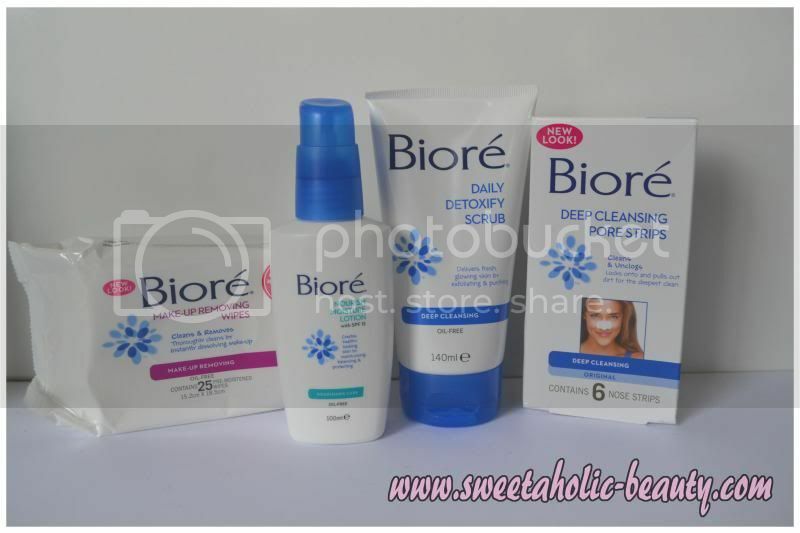 I wish to try Biore products one day!